They might have named their most recent single “Winter Winds,” but this new psychedelic/folk daydream by Los Angeles band The Tulips sounds far more like a gentle summer breeze. And as true winter winds whip outside my frozen windows here in New England, that’s perfectly fine by me. 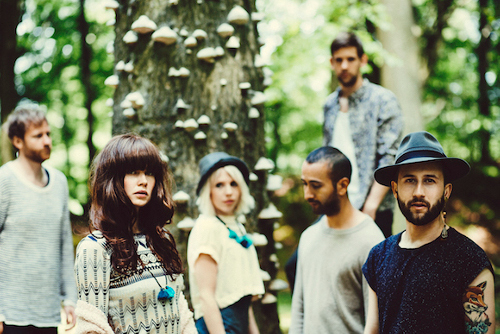 This is the second single from Echo Blue, their second album, set for release in early 2015. This dreamy acoustic-based music is created by Jared Petrich, Dana Rogge, Adam Halferty and their friends. 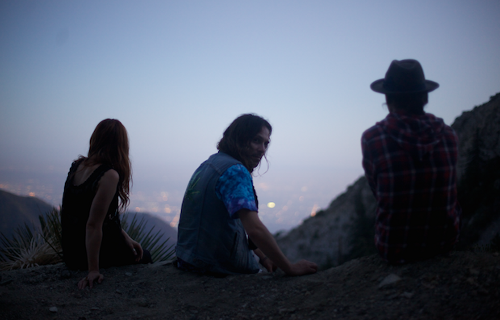 They began in the MacArthur Park area of downtown Los Angeles with their debut release, Mother Universe. Echo Blue heralds a larger sound, with the music recorded in a historic hotel and church. The first single released was “Scorpion Moon.” You can purchase “Winter Winds” from CDBaby. If you’re in the L.A. area, The Tulips have a show coming up at The Viper Room in West Hollywood on January 9. They’ll be performing with Jimmy Gnecco (of OURS) and 8MM. Whether it’s the sepia-toned slow-motion tour of someone’s derelict and empty L.A. spread, the haunting holographic narrator or the equally haunting slightly off-kilter lounge vocals, I’m not exactly sure, but the end result is quite unsettling… and very lovely. This video by Emmy The Great is for “Swimming Pool,” the lead single from her upcoming EP S, due out January 27 on Bella Union. 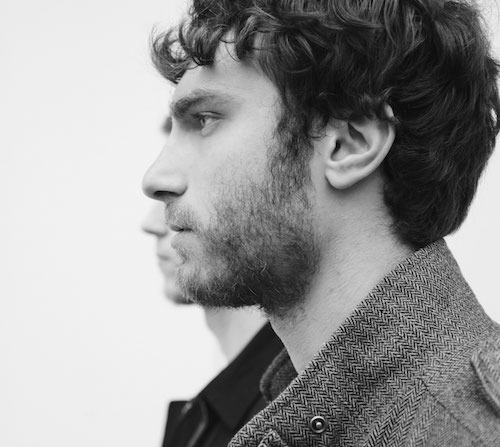 It features Tom Fleming (Wild Beasts) on beautifully complementary baritone vocals, and is directed by Sebastian Pardo. Her previous recordings have been personal and introspective. On this new 4-track EP, her view turns outward, inspired by places she visited as she searched for new inspiration — Salt Lake City, Tokyo, Hong Kong, Los Angeles, New York and London. “Social Halo” speaks of public anxiety, alternately sweet and slightly off-kilter in its mood. “Solar Panels” contemplates California dreaming, alternative energy and interconnectedness amidst swirling synths. “Somerset (I Can’t Get Over)” is more personal, a plea to a lost lover. The EP was recorded in L.A. with Ludwig Goransson (Haim, Childish Gambino) and in London with Dave McCracken (Oh Land, Beyonce). 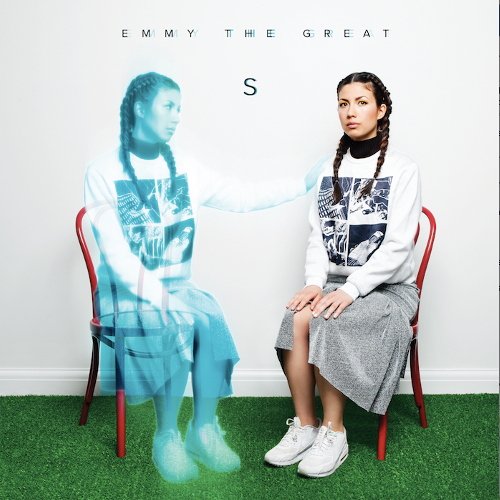 Born in Hong Kong, raised in London and now based in New York, Emmy The Great (a.k.a. Emma-Lee Moss) is a singer-songwriter and journalist who has performed with Lightspeed Champion and Noah and the Whale. Her solo career began in 2006, and she released her debut single “Secret Circus.” Her debut album First Love (2009) was followed by Virtue in 2011. She has written for Artrocker, the Observer UK and Drowned in Sound, among others. There are currently plans for shows in the U.K. at the end of January and East Coast U.S. shows set for mid-February. She’ll be performing at Mercury Lounge in New York on February 19th and at Great Scott in Allston on February 21st. Chief Ghoul might not have been the best name choice for Lee Miles’ musical project. The name suggests, if not an ear-splitting death metal band, then maybe a punk band that plays seasonally at Halloween inside haunted houses. It might be considered “spooky alt-country folk rock,” but lo-fi acoustic guitar strumming and bluesy late-night graveyard vocals make his personal brand of storytelling quite tasty and, in my opinion, not scary at all. In fact, I find this music to be rather comforting, but that may just be me. Mr. Ghoul will be releasing his third album, appropriately titled III, which is due out in the spring. 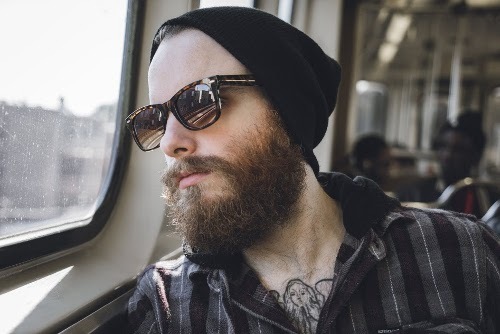 Meanwhile, you can enjoy (or be frightened by) the debut single, “Done Dabbled.” The song portrays his audience as “dabblers” (as in dabblers in the occult). The album was recorded in three short days at Chicago’s The Nook Recording Studio, produced by Nick Nativo. Hailing from Chicago, Chief Ghoul cites King Dude, Bob Dylan and The Dutchess and the Duke as major influences. 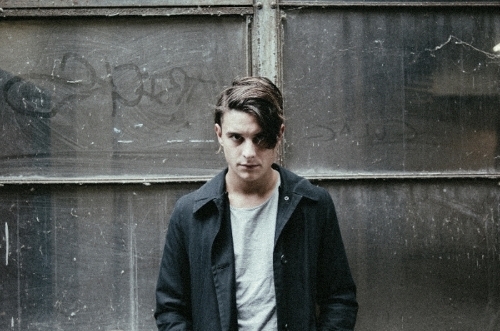 He has two other albums, the second of which is Songs From The Dusk (2013). And oh my, just feast your ears on some delicious slide guitar and haunting blues vocals in a song from that second album, “Raise This River.” In 2015, Chief Ghoul will be getting out on the road and touring, so keep an eye out and exorcise (or just exercise) some demons. Oh, sorry. Didn’t mean to drift away on you there. I was enjoying a pleasant daydream in a vibrant summer meadow, with the soft rustle of leaves and the fragrant scent of an exotic substance in the air. No, it’s not a flashback to the 1960s, though one might think so with Brooklyn-based psychedelic wanderers Sky Picnic. This kaleidoscopic musical journey is brought to you courtesy of the third band in our Brooklyn trilogy. Their latest single “Upon Further Reflection” is from their third album, Her Dawn Wardrobe, which was released back in October on UK label Mega Dodo. Since their first album, Farther In This Fairy Tale (originally self-released in 2010), Sky Picnic have captured the dreamy mood of 60s psychedelia with a modern sensibility (and no doubt better recording equipment). They go off on instrumental trips that have some jazz and experimental influences, which combine to fully envelop the listener. On Her Dawn Wardrobe, this interconnected album of songs flows from daytime into nighttime, and then back into dawn. If you order the limited edition gray vinyl version (which includes a digital download), the day-to-night journey is on side one and side two travels from night back into dawn. Their live performances have included the Firefly Music Festival and Red Bull Sound Select series. Upcoming shows are Pianos in NYC on January 9; The Rock Shop in Brooklyn on January 28 and Bar Matchless in Brooklyn on February 14. Exploding the concept that a band has to stay confined within a particular genre in order to appeal to their core audience, Brooklyn orchestral folk band Echo Bloom are currently on album #2 of a genre-conceptual trilogy (coincidentally, we’re currently on band #2 of a trilogy of Brooklyn-based bands; spooky!). The first album was Blue (chamber pop), a study of orchestral folk with acoustic guitar, piano, organ, banjo, mandolin, glockenspiel, autoharp, percussion, strings, French horn and beautiful harmonies. “Veins” is from that first release. The third album, Green, will be classic pop. Their second album, to be released early this year, is titled Red (country/shoegaze – or, as they say, bootgaze), and it will showcase a harder sound with guitar feedback and a driving beat along with their luscious 3-part harmonies. You can listen below to the first single, “Operator,” which begins slowly and then builds into a magnificent ship with sails unfurled. The ensemble formed in 2009 (originally the Rosemont Family Reunion) and is led by vocalist, songwriter and multi-instrumentalist Kyle Evans. He conceived the idea of the genre concept trilogy while living in Berlin and discovering German culture. He put together his six piece band and worked on the albums back in the U.S., in Brooklyn. Keep an eye out for Red, and in the meantime, you can purchase “Operator” on iTunes. Funny how the universe works. Once I decided to re-examine my feelings about electronic music this year, my inbox began filling up with artists who have found a way to combine man and machine in a more emotionally satisfying way than what I’ve encountered in recent years. 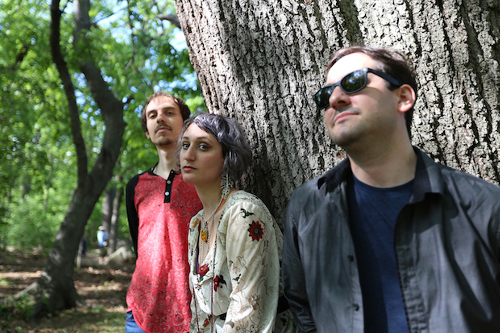 One such band is Brooklyn-based trio Howard. A new or maybe not-so-new but “new to me” genre has surfaced called folktronica. Pleasing beeps and boops are woven together with unadorned, quiet vocals, organic-sounding instrumentation and honest contemplations. Have a listen and see what you think. Previously known as Orange Television (based in Massachusetts), Howard Feibusch (producer, guitar, vocals) and Myles Heff (bass) were joined by Chris Holdridge (drums). Howard is poised to release their debut album Religion with an album release show at Mercury Lounge in New York City on January 19. Their debut single was “Song About Something.” Indie Shuffle included their single “Money Can’t Buy” on its “Best Folk Music of 2014” list, but the term folk music is clearly a misnomer. Or perhaps it IS folk music for our complicated times. Maybe today’s folk music, just as the folk music of earlier centuries included “found” and “handmade” instruments, includes the instruments made by our species that we now find ourselves surrounded by. Though instead of letting technology rule us and dehumanize us, the new practice may be to weave it, dare I use the phrase more organically, into our fragile human experience. In addition to their album release show on the 19th, Howard will be playing at Chelsea Nights in New York City tomorrow night (January 2). For those in Western Massachusetts, they’ll be opening for Brooklyn power-trio &Co at the Iron Horse Music Hall in Northampton on Sunday (January 4). 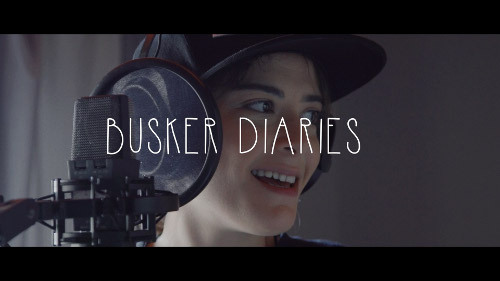 Back in November, we premiered the debut edition of The Busker Diaries. Here now is the second installment of what looks to be a phenomenal documentary mini-series from Berlin that profiles primarily buskers (street performers) from around the world, telling their story in their own words and giving us a taste of their music. In yet another compelling video, we’re introduced to Tice (short for Hatice and pronounced Teache), a German street rapper with Turkish heritage. She isn’t a busker, but they make an exception for this powerful and talented performer. She talks about what it’s like to be a female rapper in Germany, and how she uses her music as self therapy. Ok. She’s Turkish and living in Düsseldorf. And a woman. And a female rapper. Damn. Respect. Busker Diaries #2 – Traum from Fabian Frost on Vimeo. The Busker Diaries will continue to feature these artists, their music and their story, in mini documentaries, and you can donate on the site to help support the artists so they can continue to create. Artists can apply to be considered for a feature or recommended by others through busker@dieleiter.com. Though it’s difficult not to compare Sweden’s Hurricane Love to bands like Monsters and Men, what with their anthemic choruses and male-female group harmonies, they have, to my ear anyway, a more polished sound and pristine voices that seem classically trained. Whether or not this note perfection is to your liking is, of course, personal preference, but anyone who enjoys music that’s strengthening and spiritually uplifting should definitely give these talented musicians a listen. Like Mumford and Sons and the Lumineers, they carry on the tradition of folk-infused indie rock, albeit with a pop sensibility. The video for their single “Nowhere To Go” is simply filmed, showing the ensemble performing in a full circle as the camera slowly rotates. It’s highly effective in displaying their group dynamic, camaraderie and passion. The six members of Hurricane Love first came together in early 2012 and have already toured in Germany, England and Sweden. With their first single, “Only Human,” released in 2013, they earned a place on Billboard’s Next Big Sound feature. They stripped things down to the basics when they performed acoustically on the streets of Cologne, Germany, for the Cardinal Sessions. Personally, I love acoustic sets like these, as you can see immediately whether or not a band truly has it or doesn’t. These guys definitely have it. I don’t see any shows scheduled for now, but for now, you can order the “Nowhere To Go” single from iTunes. Moody and wistful are descriptors that come to mind upon listening to Montreal native Elliot Maginot’s “Monsters At War,” the first single off his debut album Young/Old/Everything.In.Between. Produced by Jace Lasek (Besnard Lakes, Suuns), it comes out February 10th on the Montreal label, Indica Records (Half Moon Run & Phantogram). He has a nice finger-picking style that blends with choral harmonies.